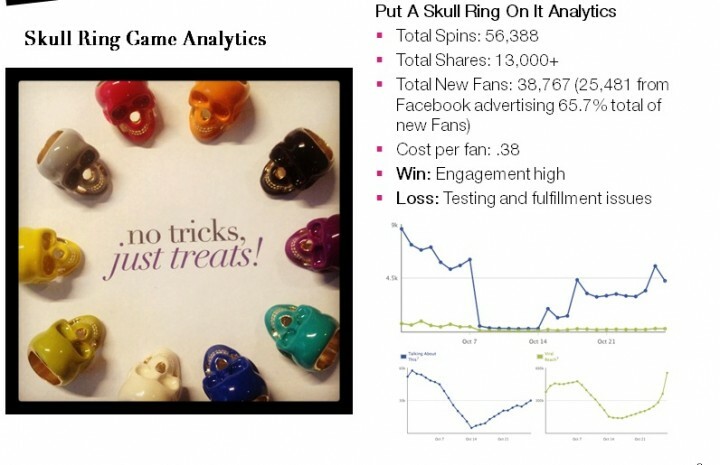 To celebrate Halloween and showcase an edgier side of Charming Charlie – we created the “Put a Skull Ring On It” Sweepstakes – a FB Fan Exclusive. I selected the custom pantones for the ring and they were produced just for this sweepstakes. The sweeps created much buzz and almost 40K new fans.